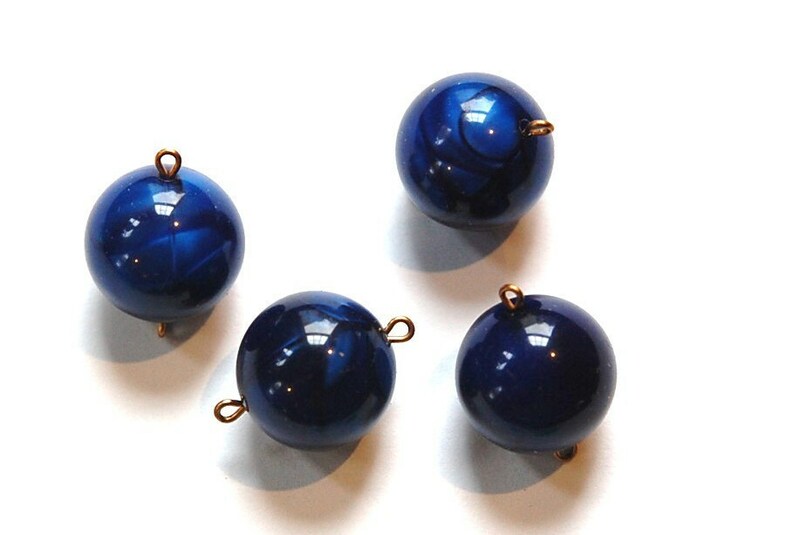 These are vintage acrylic beads that have a navy and dark blue swirled pattern. The lighter of the two blue colors looks almost silky. These have 2 brass loops. 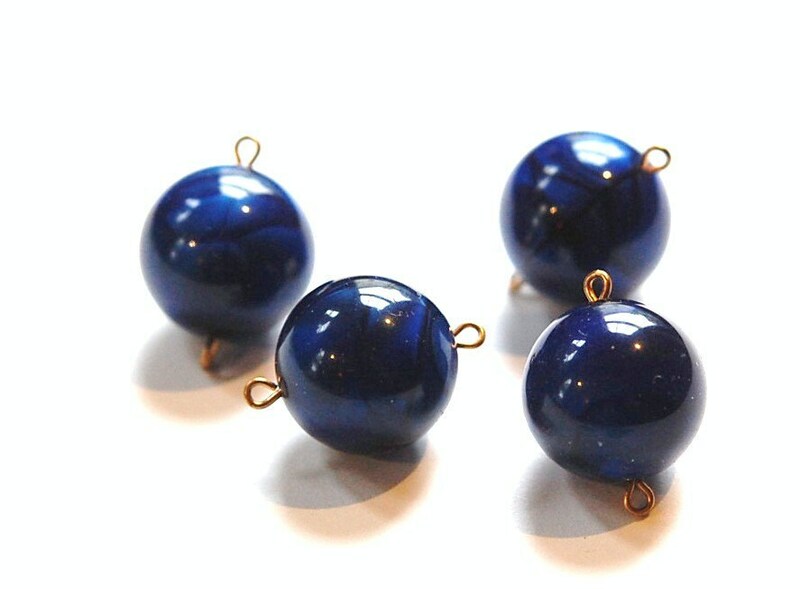 The bead measures 16mm. These are 24mm long with the loops. You will receive 4 pieces.